Choose the best space for your stuff! Our Self-Storage facilities in Katy, Cypress, Bryan, San Angelo, and Odessa are your best choice for self-storage in Texas. Please visit our locations page to find more information on the facility nearest to you. This Lone Star Storage Center is conveniently located near Hwy 6, close to Texas A&M University and Blinn Jr College. College students can locally store their belongings during summer break, or year-round! We are also located 5 miles from Bryan Lake, so you can conveniently store your boat, camping supplies, and fishing equipment here. Our clean and well-maintained facility is conveniently located near Hwy 99 at 20603 Clay Road in Katy, Texas. This facility is located on FM 529 is located near Hwy 99 in Cypress, TX. Our security features and variety of storage options make our facility perfect for all of your storage needs! We are located on the Northeast side of town near JBS Parkway, just a few miles from the University of Texas Permian Basin. Our secure, fully-fenced facility has an electronic gate, alarmed units, and LED lighting throughout the property. We are located on Sherwood Way just passed Sam’s Club. Rio Concho West, The Bluffs and Southland are all our neighbors. Our fully-fenced facility has an electronic gate, alarmed units, and lighting throughout the property. Our new state-of-the-art facility in New Braunfels, Texas is now open for business! Located just off of I-35 on Loop 337, this location provides quick and easy access for all of our New Braunfels neighbors. Visit our New Braunfels location page to learn more about facility features and our grand opening specials! Every Lone Star location is equipped with enhanced security to maintain the safety and security of our employees, tenants, and the items they’ve chosen to store with us. With fully paved, well lighted, and wide driveways, our facilities can accommodate the largest trucks and trailers. All of our units are at ground level for quick and easy access. We offer flexible and easy payment options on all of our standard storage units. Our month-to-month rentals and online billing eliminate the financial stress that comes with moving. The facility is secure and well kept, the staff are very sweet and always willing to help, and their prices are comparable to other places in town. I will use them for all my storage needs! I have been with Lone Star Storage Center for a couple of months and the service is impeccable and the staff very friendly and informative. I wouldn’t go anywhere else for my storage needs. Highly recommended. Excellent facility, affordable, clean, great security and management. Been a customer since 2008 to present and I have had no complaints or problems. Plus, they pay you for referrals. The manager, Karen, makes a point to get know her renters and she runs a fair and honest business. 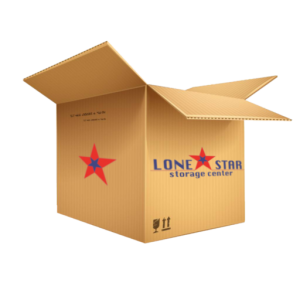 I have used Lone Star Storage for over 5 years and have experienced excellent professional service, prices, and storage. Some of my larger furnishings were in the climate control 2 years straight and upon getting them out, still looked as good as the day I put them in. This place has been a blessing to me!